The next NUX Newcastle event is on Thursday 23 November 2017 at Campus North, Sunco House, 5 Carliol Square, Newcastle upon Tyne, NE1 6UF. Doors will open at 6pm for the usual food, drinks and networking. Talks will start at 6:30. Liam Dexter and Nick Wiles from Atom bank will talk about how they used remote usability testing and a customer panel to improve the app experience. Emma Nicol from Virgin Money will talk about her experiences working for Virgin Money and NHS Business Services Authority. She will talk about different research methods, how they were used, how the findings were analysed, and the approach to iterating a prototype. 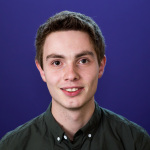 Liam is a UX Designer whose focus is on delivering key app projects and optimising existing journeys within Atom. He has established a remote user testing process with key metrics to measure performance, achieved ‘Best undergraduate student in the communication design subject area’ at Northumbria University, and his ‘Virgin Empire’ project was awarded ‘One to Watch’ at the 2016 London D&AD New Blood Exhibition. 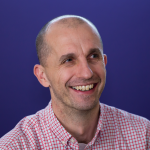 Nick is Head of Experience Design whose focus is finding solutions on walls, paper, napkins, tablecloths and whiteboards, and constantly learning and developing his understanding of customer needs. Nick has been designing user interfaces since 1994, which in his own words “feels like an eternity ago”. He has worked with agencies and clients in retail, banking, entertainment, leisure, business-to-business and business-to-consumer. Emma is a User Experience Researcher now, but she started as a designer working at Campus North through the Ignite programme. That is one of her favourite experiences because she learned so much from the mentors and other start ups. 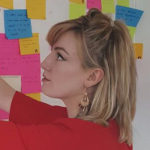 Since then Emma has worked with clients through Orange Bus, leading her to discover her love of user research in the public sector and becoming a user researcher at the Skills Funding Agency, NHS and, most recently, Virgin Money. All of the tickets have been snapped up. If you want to go on the waiting list, email newcastle@nuxuk.org and we will let you know if there are any returns.